Have a paver in the garden and wondering where its location is? no worries! 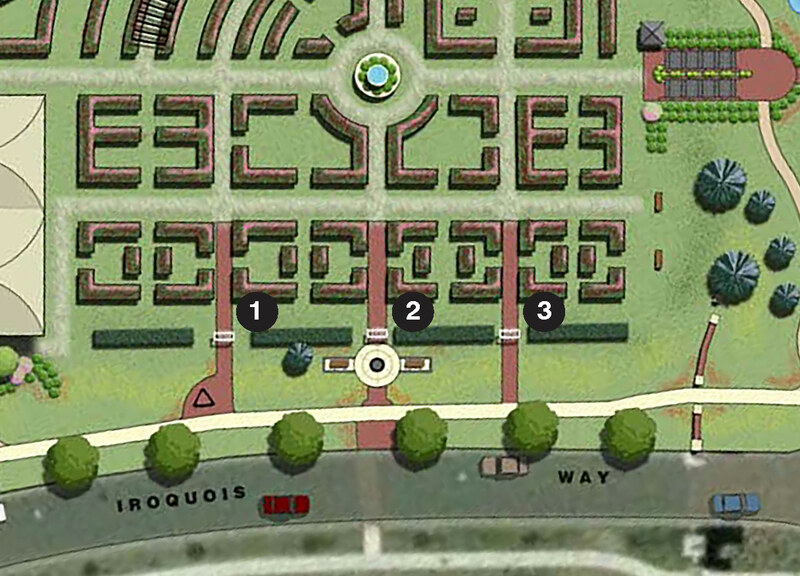 there are three paver pathways, each starting at iroquois way, leading towards the center fountain. the photo above depicts the layout, with each pathway labeled 1, 2 or 3.